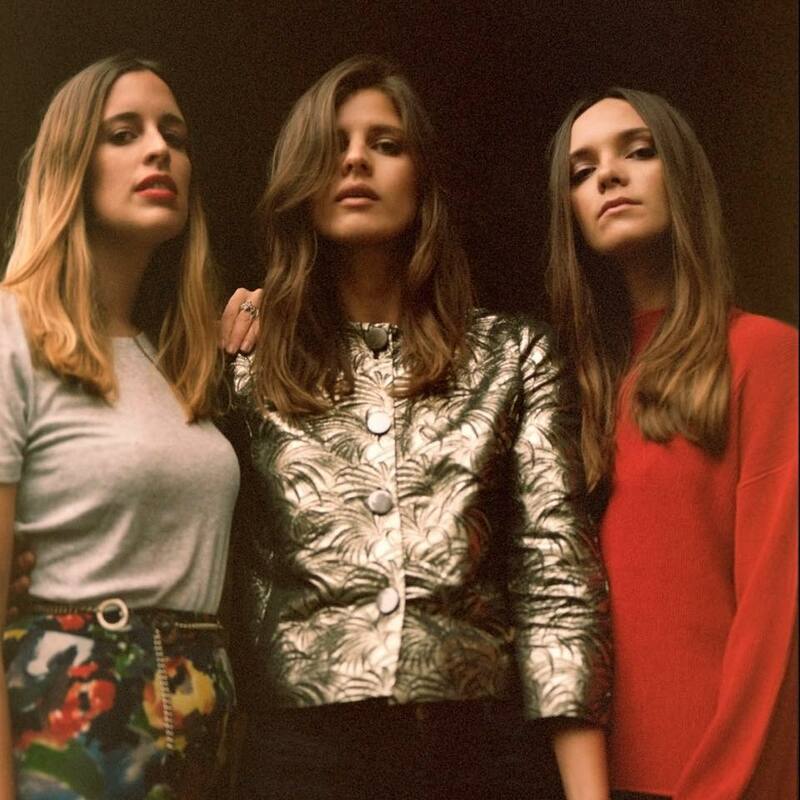 If you were to mix Linda Ronstadt, Fleetwood Mac and a dash of First Aid Kit you’d come close to describing the airy sounds of new London trio, Paradisia. The group comprises of Sophie-Rose (vocals), Anna (harp) and Kristy (vocals, keyboard) and was formed from the ashes of other past musical endeavours. Their alluring melodies strangely capture the sounds of yesteryear. With only two singles under their belt they have already garnered a lot of attention in elite music circles. They recorded their debut LP in Berlin and are now ready to seduce people worldwide with their dreamy sounds in 2017. We caught up with the group to find out about their allegiance to the 1970s and their excellent sense of style. You’re heavily influenced by the 70s. We’re hearing Carlie Simon and Linda Ronstadt. Anything to add we should know? Yes your right, I’d say Joni Mitchell comes through in some of our folkier songs but ultimately we all share different inspirations in all music genres and that can come through some of our tracks, we find that quite refreshing. Your image of six women naked in a corn field is quite striking. Can you tell us what the meaning is behind that? The image represents the strength created by solidarity between women. They are standing together baring all, opening up and showing both strengths and flaws. They have their bodies on display, yet they can stand strong as they’ve got nothing to hide and are standing together against adversity. it’s about the effect created when united and the beautiful association of different female body shapes . Can you leak anything about a future debut LP release? We made our record mainly in between Berlin, Hanover and London, working with German producer extraordinaire Mirko Schaffer and Jack Gourlay. We’ve gone for a very organic sound and did a few of the tracks all together in this huge live room that belongs to our German label SPV, in a derelict industrial area in Hannover. Most of us had never been to Germany so that was quite an experience. We mainly recorded vocals in Kreuzberg falling in love with it in the summer. The record is planned for a release next year. Are you all Londoners? Can you tell us what you love about the city? We all love London and have lived here for many years. Sophie is the only one born and bred, with Anna from Bogota and Bordeaux and Kristy from Birmingham. We love how even though London is a capital and huge city it can make you feel like it’s a small town in how calm it is and how you keep bumping into friends everywhere you go. Some big cities have an austerity to it and London always feel so peaceful in comparison. It was your cover of Bruce Springsteen’s Dancing In The Dark that really got people listening. What cover would you have planned next? Recently we have been playing a track of Beyonce’s in our live set called ‘Pray You’ll Catch Me’ which we have made very intimate and a duet between the girls. Also Tame Impala’s ‘Cause I’m a Man’ where we have Kristy on guitar. You all have such great style, can you tell us about your approach to fashion and some of your style icons and any fave labels? I think our approach to fashion is very much about feeling confident at all times and keeping things timeless. Our inspiration comes from a more androgynous approach, there’s a photo taken by Helmut Newton that we’re obsessed with where the model is in the chic-esque suit with nothing underneath, almost mistaking her for a man. Designers we refer back to are the likes of Celine, Saint Laurent, Isabel Marant and Jane Birkin is a favourite icon. Their latest single Warpaint is out now on SPV recordings.